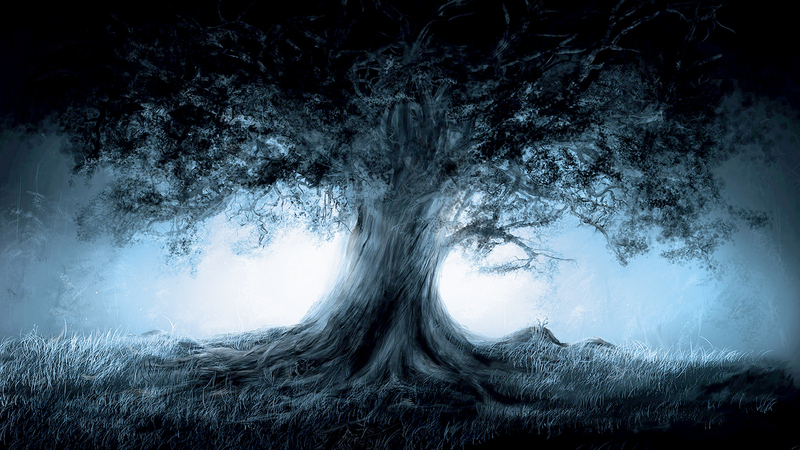 Long ago, in a quiet valley of Maridor, a blacksmith named Hugh lived happily with his wife and daughter. One day, he received an urgent call to protect Maridor from a sudden and fearful danger. A great army from Hanidor had invaded, burning, pillaging, and killing all in their path. How did Hugh respond to the call? Where did it take him? And did he ever return home again? Here is his story. Now unlike many stories, this one is told in the language of music. Each piece is a chapter. That is, each piece tells an important part of this story. But you must use your own wits and imagination to discover what is being told. With that, I invite you to come along on this adventure, and experience it for yourself. I hope that you enjoy it, and, in some small way, may it inspire you to answer your own call when it comes. When ordering, you will be asked to setup a Username and Password – Please make a note of these. After purchasing, you will receive an email with the download links which require the Username/Password. You will have two options to download: A high quality mp3 version, and; A fast download version. Enjoy! The Call – Upon hearing the call to arms, Hugh the blacksmith leaves his peaceful home behind, and takes up the sword against the barbaric invaders of Hanidor. The Journey Begins – Over the mountains, through the forests, and across the great river, Hugh makes the arduous journey to the great city of Maridor. Maridor – Hugh marvels at the splendor of Maridor, the ancient city of kings. But the glory of its white walls, ornate fountains, and marble edifices is overshadowed by the approaching host of the enemy. Forth to War – Maridor bids a tearful farewell to its soldiers, who march out boldly to meet the foe. The Ambush – Hanidor’s soldiers catch the army by surprise in the forest, and cut down many men as they flee back to the gates of Maridor. Hugh is wounded, and barely escapes with his life. Memories – While healing from his wounds, Hugh seeks solace from the demoralizing defeat in his thoughts of home. A Winter of Hope – Hugh takes command of the failing army and leads them through a long winter of defending, building, training…and hope. The Vigil – The night before the final battle, Hugh goes to Maridor’s cathedral and prays for strength in the imminent conflict. The Battle – Under Hugh’s dauntless leadership, Maridor overcomes the superior numbers and arms of Hanidor. They rout the barbaric horde in a decisive victory. Peace Restored – The victors return to Maridor, and the city rejoices once again.Home at Last – Hugh returns to his wife and daughter, a better man for having answered the call to arm. 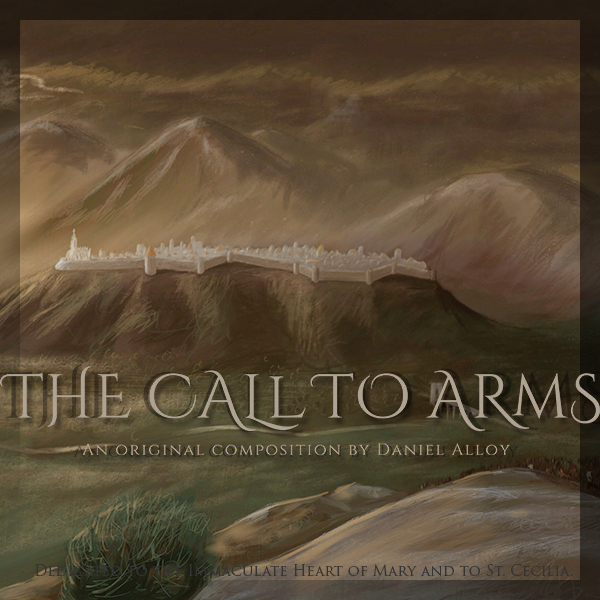 The Call to Arms – Hugh’s story soon passes into legend, and the people of Maridor still remember him in this ballad, handed down for generations. (c) Copyright: Daniel Alloy 2017 – All rights reserved. Daniel Alloy is an amateur composer from Omaha, NE. Through the help of an up-and-coming composer-friend, he started working with composition software in 2015. Daniel draws inspiration from cinema soundtrack composers, writing orchestral music with the feel of a movie soundtrack. Daniel tries to capture the storytelling aspect of soundtrack music and apply it to his own work. In 2017, Daniel was able to participate in an online composition class, given by Hans Zimmer, one of the most revered soundtrack composers in the film industry. Also, in 2017, he produced his first album, The Call to Arms, and is currently working on a second album, The Hearthstone Chronicles (coming soon). Daniel composes music for the glory of God and seeks to orient his musical storytelling toward Him.